Processing content for search in Asian languages such as Chinese, Japanese, and Korean presents unique challenges. Typical processing done by a search engine, such as tokenizing based on whitespaces and stemming to derive root forms, is not sufficient for Asian languages, as many words are compound, with different meanings depending on their compound context. AES has improved its support for Korean language processing by adding support for the widely-used open source Korean language analyzer called the Seunjeon plugin. The launch announcement of the Seunjeon plugin support was accompanied by a blog post describing steps to use the plugin with AES. As part of the Seunjeon plugin support, we made several optimizations to the plugin to reduce its memory footprint in order to support instances running with low memory. This post covers the analysis done behind the decision to support the Seunjeon plugin, as well as details of the memory optimizations done to reduce its heap utilization. 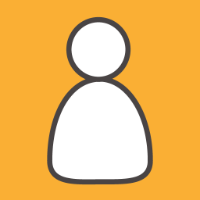 elasticsearch-analysis-openkoreantext This plugin supports all Elasticsearch versions up to 6.1.1. It uses the Twitter opensource korean-open-text module, which has a very powerful Korean analyzer and a built-in dictionary, and is licensed under the Apache License Version 2.0. The drawbacks of this plugin included a less-active community and the lack of capability to add a custom inline dictionary for tokenization. Although it provides a way to add custom dictionaries as files, they would need to be added inside the plugin folder in a pre-determined location which cannot be made dynamic, making adding a custom dictionary file difficult. elasticsearch-twitter-korean This plugin only supports Elasticsearch up to version 2.3.
open-korean-text-elastic-search This plugin is obsolete and is no longer maintained. Seunjeon This plugin supports all Elasticsearch versions up to 6.1.1, and leverages mecab-ko-dic internally to perform text analysis. It is licensed under Apache License Version 2.0 and includes the ability to specify a custom dictionary inline, as well as a relative file path. A minor shortcoming of this plugin is the necessity to edit the plugin descriptor file to use it with the newer versions of Elasticsearch (> 5.4). We chose the Seunjeon plugin which has key functionalities we need such as custom dictionary support, and it is being actively developed in the open source community. In this section, we cover the details of the heap analysis that was performed leading up to the heap optimizations. AES supports running Elasticsearch on smaller instance types like t2.small which has limited RAM (2 GB). 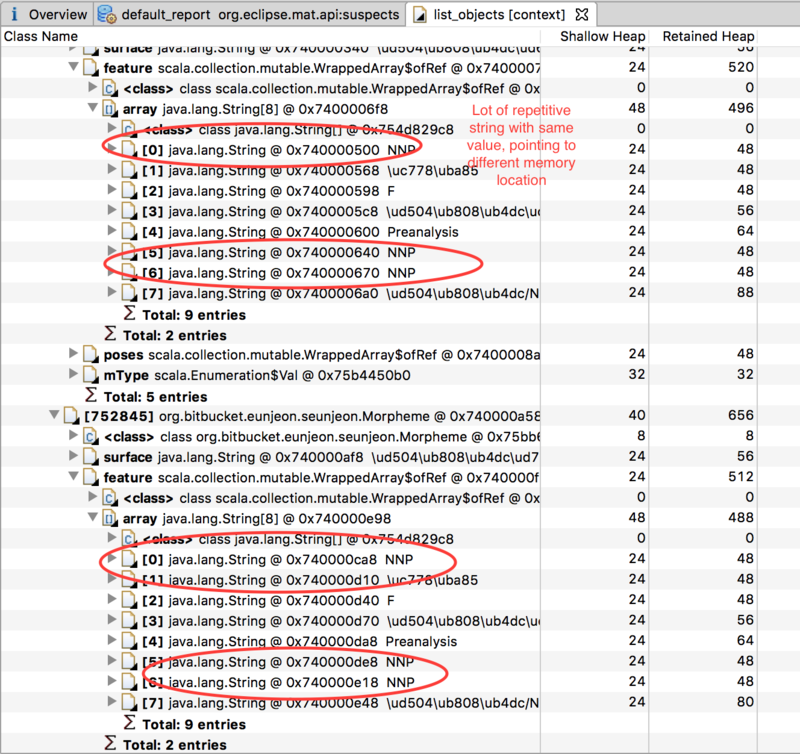 In our testing of the Seunjeon plugin, we observed that it was consuming too much heap (~560 MB). This level of heap utilization can cause smaller instance types to run out of memory frequently. Hence, we decided to optimize the memory footprint of the plugin. With this level of granular analysis, we had sufficient insight into heap consumption to decide on optimizations. The feature array of Morpheme includes metadata to store different characteristics of a word, e.g. whether the word is a noun or a pronoun. In the above screenshot example, you can see two feature arrays with the same word “NNP” repeated multiple times across the arrays, and even within the same array. Different copies of the same “NNP” string point to different memory locations, which means that a new string object is created for each word in the array. As strings are immutable, there is no need to have multiple objects with the same underlying string – the string objects can point to the same memory location. This led to our first optimization, where we used string canonicalization to identify duplicate strings, and pointed them to a single version of the string (single memory location). We built a cache for the string as shown below and converted to a UTF-8 character encoding to reduce the space utilized. In the above screenshot, you can see that the repeated entries in the string array “NNP” now point to the same memory location. The index positions 0, 5 and 6 in the array, with “NNP” as the value, now all point to same memory location 0x75ac86550. This optimization reduced the entry for “NNP” to 48 bytes, down from the 144 bytes needed to store the entire value at three different index positions. We converted the ENUM to a byte as shown below, as it had only 4 underlying values, which can be represented using a byte. Before the optimization, each ENUM of type MorphemeType would occupy 32 bytes as compared to one byte after the optimization. After the optimizations described above, heap utilized by the Seunjeon plugin was reduced from 560 MB to 271.5 MB – an overall reduction of 51%. Users of the Seunjeon plugin can take advantage of the heap optimizations in the plugin included with Amazon Elasticsearch Service, as well as the standalone open source version. 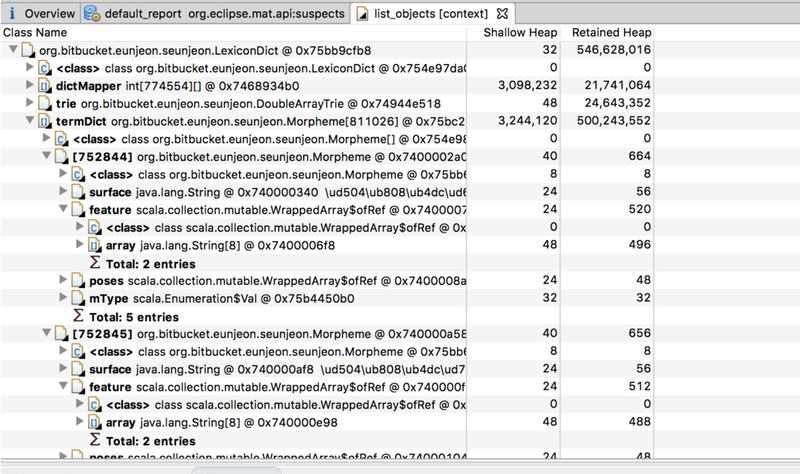 Amazon Elasticsearch Service offers the heap-optimized Seunjeon plugin out-of-the box. For the open source version, the pull request for our heap optimizations is at: https://bitbucket.org/eunjeon/seunjeon/pull-requests/11/optimizing-heap-utilization/diff. Currently in the open source version, the heap-optimized version is the default only for machines where heap size is <= 1GB, otherwise the heap optimizations are offered as an option. You can now ensure high fidelity parsing and matching for Korean text using the Seunjeon plugin – with an optimized memory footprint. 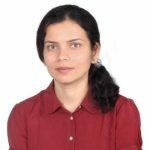 Pallavi is an Engineering Manager at Amazon Web Services, leading the design and development of high-performing search technologies. Prior to AWS, she led global teams in several analytics and database products and worked closely with enterprise customers on mission-critical applications. Vengadanathan is a Software Development Engineer at Amazon Web Services. He likes working on solving distributed systems-related problems. He is also a Java enthusiast and likes to optimize code to improve performance. In free time, he likes to listen to music and read tech blogs.